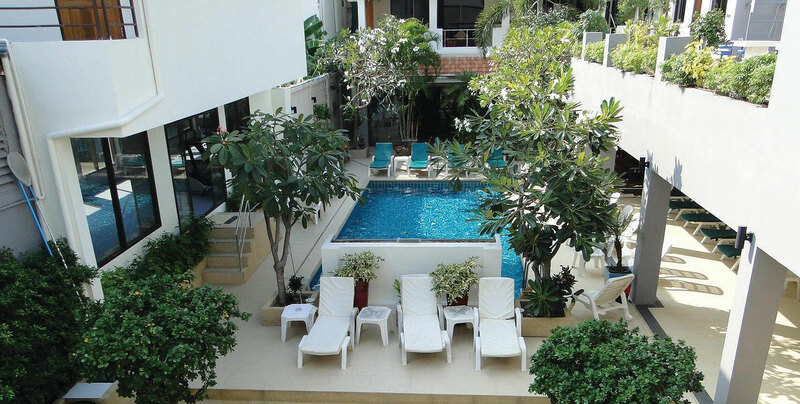 Located in fashionable Jomtien just outside Pattaya the Sauna complex is on three floors.The Ground floor has the locker room, showers and toilets, Steamroom and Sauna, Swimming Pool, Gymnasium, Jacuzzi , a Bar and Restaurant serving professionally cooked and served Thai and Western Food, also a relaxing area with comfortable Sofas to watch the large TV. There is now an enlarged Patio around the Swimming Pool where you can relax, have a drink and a snack any time of the day. On the 2nd floor there is an area where you make your own entertainment with Dark Room, Relaxing Rooms, Showers and Toilets. On the 3rd floor we have more relaxing rooms, a Maze, Sauna, Steam Room, Toilets and Showers.